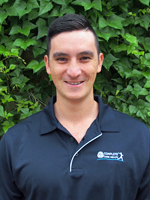 Dr David Bates was born and raised in the Northern suburbs of Perth and grew up training at competitive levels in triathlon and football, as well as becoming a State and National medalist in swimming. The immense training involved in such competition took a toll on David’s body and eventually led him to search for different treatment modalities. It was through this personal experience with chiropractic treatment for assistance in recovery and performance that led David into his chosen field. Dr David Bates believes in a holistic approach to health and the power of the body to heal itself, treating a variety of patients from newborns through to the older population. He has a particular interest in working with athletes having treated Olympic gold medallists and AFL players. David uses techniques such as Diversified, Inspiral (Pediatrics), Activator, Active Release Technique (ART), and other soft tissue modalities to assist in his treatment.